According to Ayurveda, the presence of disease in our system indicates an imbalance in our ‘doshas’. Bringing our system back into balance is the key to the cure. 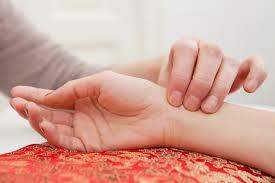 Ayurveda has an effective tool for the diagnosis of disease called ‘nadi pareekshan’ or pulse diagnosis. This is done by an Ayurvedic doctor who checks the individual’s pulse on his/her wrist and he/she can easily detect the imbalances in the body and prescribe an effective treatment. Herbal medicines to balance the body. Panchakarma, a 5-staged body purification programme, consisting of herbal remedies, light diet and excercise specific massages and cleansing treatments. Ayurveda supports health without disturbing the natural intelligence of the body; Ayurvedic treatments have no negative side effects. Because of this, people around the world are now turning to the ancient science of Ayurveda to help them regain and maintain optimal health. Ayurveda can be used on its own or as a complement to allopathic treatment. Well trained Panchkarma assistant apply medicated oils all over the body in a specific manner. Swedan (Fomentation) usually follows all types of massages. This abhayangam is indicated in various diseases of the muscles and the nerves and as a process of making the body physically strong and healthy. Benefits: Counterbalances the body and the spirit by offering mental balance. It gives an unprecedented rejuvenation. In this process a steam chamber is used, in which the patient either sit or lie down on his back and every part of the body is exposed to the steam except head, to avoid dehydration, the patient is given a glass of water before administering swedan. The duration of treatment is five to fifteen minutes or until sweat begins to bead on the face and forehead. The sign of effective and complete swedan is sweating, a reddish color to the skin and warmth in the body, with no chill and stiffness. Patient feels light because of liquefying “Ama” (toxin). Without swedan toxins would not be ready for complete disposal. Once the Dhatus give up their accumulated toxins and wastes and the Doshas successfully transported them back to the gastrointestinal tract, the body must eliminate these wastes through the closest orifice. This therapy is useful to liquefy the toxins in the body, and generalized disease like Arthritis and generalized weakness, Fatigue, Muscular problems; and in Myopathies swedan can be use as treatment. The procedure of applying heat to the sacral or lumber region, Knee, back of the neck by retaining warm medicated oil with in a specially formed frame on this area is popularly know by the Kati basti, Janu basti and Greeva basti respectively. Udvartana is an invigorating procedure done with cleansing grains or constitution specific herbs, used to scrub and exfoliate the skin. This herbal massage will stimulate the skin, leaving you with radiant, toned skin and cleansed skin. Thaila dhara or Pizhichil is the combination of two classical ayurvedic treatments, Snehana (oleation) ant Swedana (sudation). 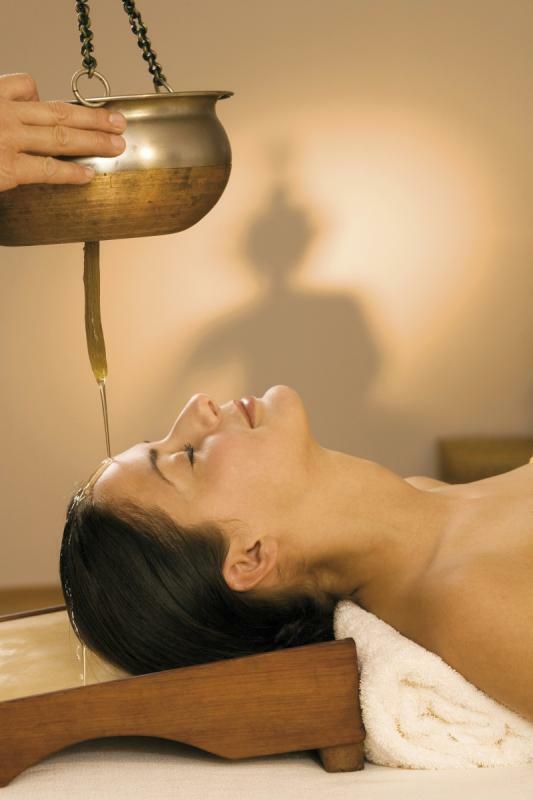 It is one of the part of panchakarma treatment in ayurveda. It is the procedure in which streams of lukewarm medicated oil is poured on the whole body or the affected area with simultaneous soft massage. The benefits of the treatment is rejuvenates the body, nourishes the skin and keeps it young, regulating blood pressure, combating depression and preventing aging. It helps in promoting proper circulation and hence clearing the channels. The word 'Takra' means butter milk and 'Dhara' means pouring. Dhara with medicated butter milk is called as Takra dhara. This is similar to Shiro dhara but buttermilk is poured onto the forehead, instead of herbal oil. Takra dhara involves continuous flow of medicated butter milk to the centre of forehead continuously. The therapy helps in relieving from insomnia, stress related problem and depression. It improves the circulation in scalp region and aids in hair growth. The benefits of Takra dhara are effective in certain cases of dermatitis affecting the scalp like dandruff, in certain cases of alopecia, psoriasis etc. This treatment relaxes and revitalizes the central nervous system and strengthening the system. 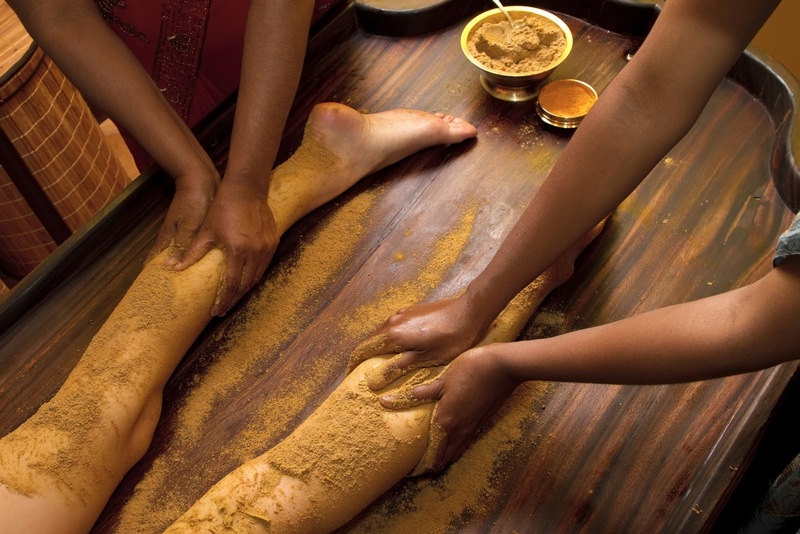 Padabhyangam is Ayurvedic foot massage (Pada=foot and Abhyangam=massage) which is soothing , revitalizing, calming and balancing various disturbances of the autonomic nervous system. It includes massage of the feet. Feet are very important part in our body, as many nerves from many organs terminate in the feet. So massage helps to strengthen these nerves and restores health to many parts of the body. The marma (vital) points are massaged which gives balance to your dosha and is very helpful for people with insomnia, fatigue and cramps.